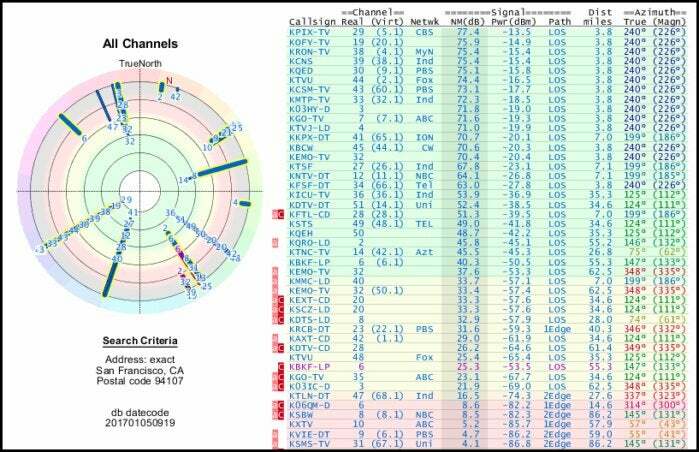 Figuring out which channels are available for free where you live, and the antenna you need, is easy with our guide. Which channels are available on an antenna? Which channels do I want to watch? Can I put up an antenna? Do I need a signal amplifier or a rotator? What type of cable do I for a TV antenna? Putting up a TV antenna is one of the best steps you can take toward breaking your reliance on pay TV and saving hundreds of dollars a year. Most areas of the U.S. have access to between 50 and 100 TV stations broadcast over the air for free. As a bonus, they’ll make your big-screen TV shine. Over-the-air TV signals are typically compressed less than cable or satellite broadcasts so pictures will appear either the same quality or better. All of the major broadcast networks now transmit in high-definition and in some areas test broadcasts for the new ATSC 3.0 standard are also underway. Those transmissions could eventually mean 4K broadcasting. Updated February 12, 2019 to add a video explaining how to determine which over-the-air TV channels you can tune in where you live (see above). So, here’s how you go about choosing the right antenna for you. Your first step is figuring out which channels are available where you live and of those, which ones you want to watch. To do this, head over to TV Fool. It pairs the FCC’s broadcast TV database with topographical maps to give you a pretty detailed estimation of which signals will reach your house and how strong they’ll be. A screenshot of the TV Fool website showing television reception in San Francisco. That chart above looks pretty complicated, but it’s really not. The strongest signals are at the top and weakest at the bottom. Keep this page open in a browser tab. Your next step is to figure out what stations you want to watch. After all, there’s no point wasting time trying to get weak stations if all your favorite shows are on strong ones. You can check a TV listing guide to see everything that’s on the air in your local area and make a list of which stations you want to watch. You’ll probably have to enter your zip code and be sure to choose “antenna” or “over the air” as your TV provider in the online program guide, so you don’t get cable channels mixed in. 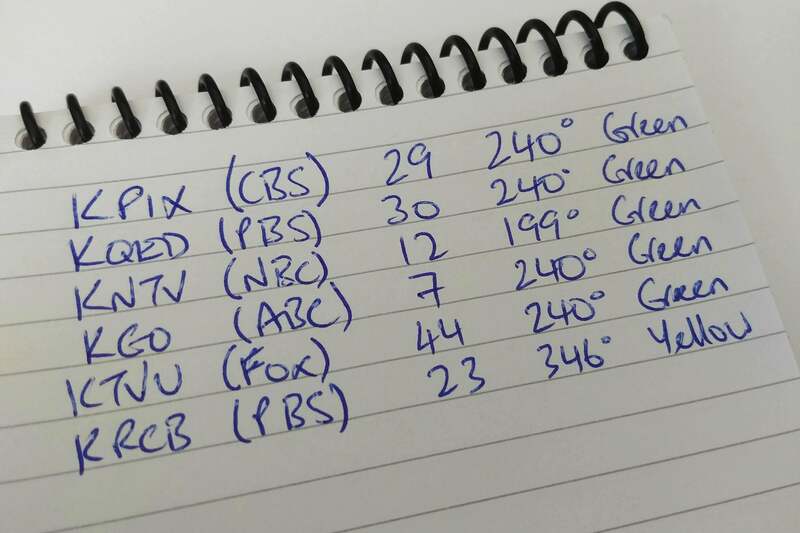 Once you’ve made your list, examine the TV Fool results to find the channels you want to watch. Write down the number in the second column, the “real channel,” the second-to-last column, the “true azimuth,” and the color (green, yellow, or red). The colors will inform you if an indoor antenna will be sufficient, or if you’ll need an attic or roof-mounted model to pull them in. Over the next few years around 1,000 TV stations across the U.S. will be shifting their broadcast channel as part of a massive reorganization intended to free up space for mobile data networks. Phase one began in September 2018 and phase 10, the final step, is scheduled to end in July 2020. So, when you’re picking out what stations you want to receive, do a quick check and see if they are moving channels so you can be sure of uninterrupted reception when they do. The website Rabbit Ears has a long list of all the stations in the U.S. and where they’ll be after the repack process is complete. Find the stations you want to receive in that database (the drop down list of TV markets is the easiest way) and note the new channels too. In almost all cases, the answer is yes, you can put up an antenna. 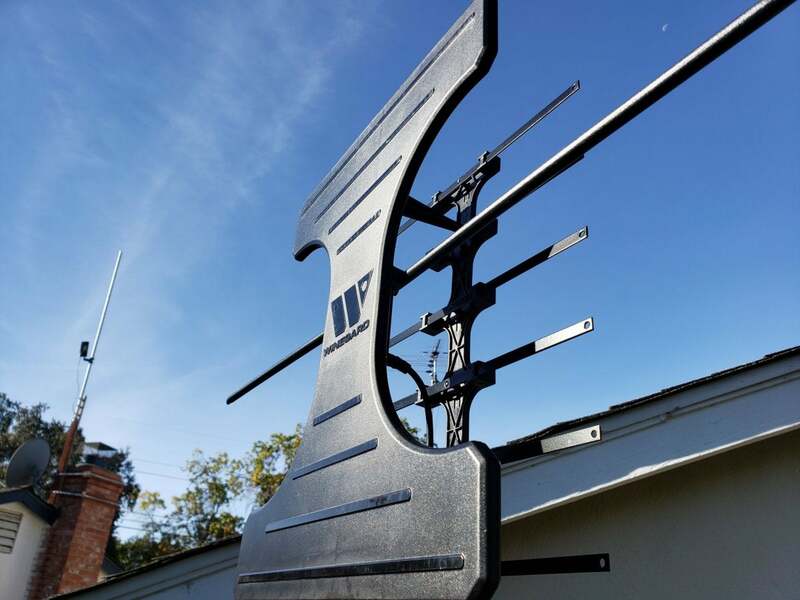 The FCC’s over-the-air reception devices (OTARD) rule gives you the right to erect an antenna for the reception of over-the-air TV or satellite programming. It applies to both homeowners and renters, and it overrides the power of home-owners associations (HOAs) to block antenna deployments. The rule covers antennas required for an “acceptable quality signal” on your property, or if you rent, an area where you have exclusive use. The FCC website has full details. TV Fool ranks stations in order of predicted signal power, with the easiest to receive at the top. The green channels can probably be received with a simple indoor antenna, yellow ones will probably require a larger antenna in an attic space or on the roof, and the red ones will require a good roof-mounted antenna. It’s important to remember than an indoor antenna is always going to be a compromise. You will always get better results with an outdoor antenna. 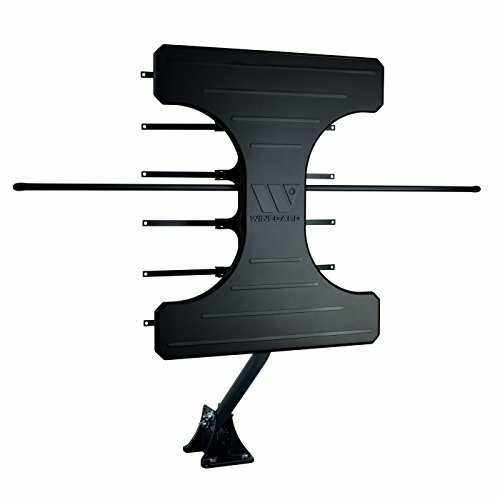 Indoor antennas, like our current favorite the Winegard FlatWave Amped, are typically flat, so they’re easy to set up, usually by hanging them in a window on the side of the house facing the transmitter. Some look different but the principle is the same: Install them in a favorable location. Indoor antennas are typically fine for all the strong local channels, but if you want channels that are weaker or further away, you might need to go larger and put an antenna in your attic space or on your roof. There are several excellent options including our current top pick for attic installation, the Winegard Elite 7550, and for a roof-mount, the Antennas Direct DB8e. If you install it in the attic, you’ll probably get slightly less signal than if it was on the roof because it’s an enclosed space, but it might be enough to get stable TV reception. If you hate the look of an outdoor antenna, then experiment. An attic-mounted antenna will also be easier to maintain. The direction of the TV transmitter tower is also important. 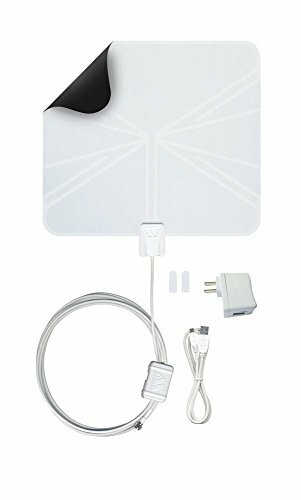 If you’re using an indoor antenna, you’ll want to put it in a window facing that direction. 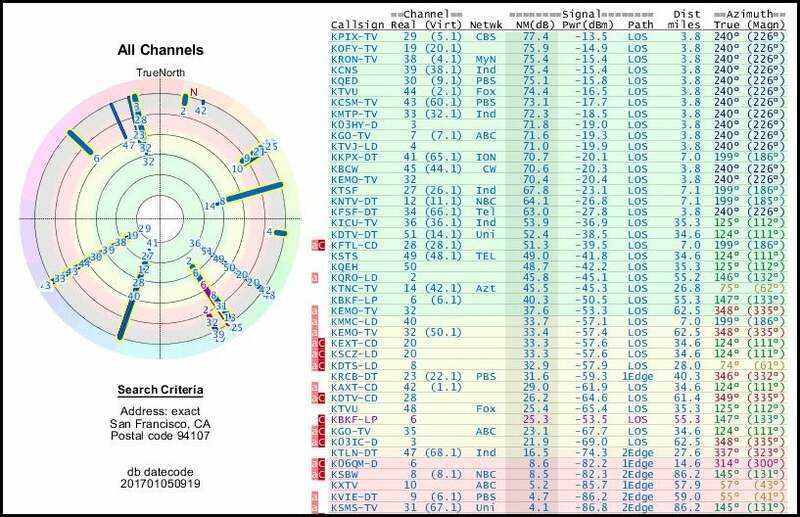 If you’re using an outdoor antenna, it should be pointed in that direction. As signals get weaker, going from green to yellow to red, the direction becomes more important. If you want to tune in weaker stations from towers in different directions, you’ll probably need a rotator. This motorized device will turn the antenna so that it’s oriented to pull in those weaker signals. Knowing the real channel number will help you select an antenna. 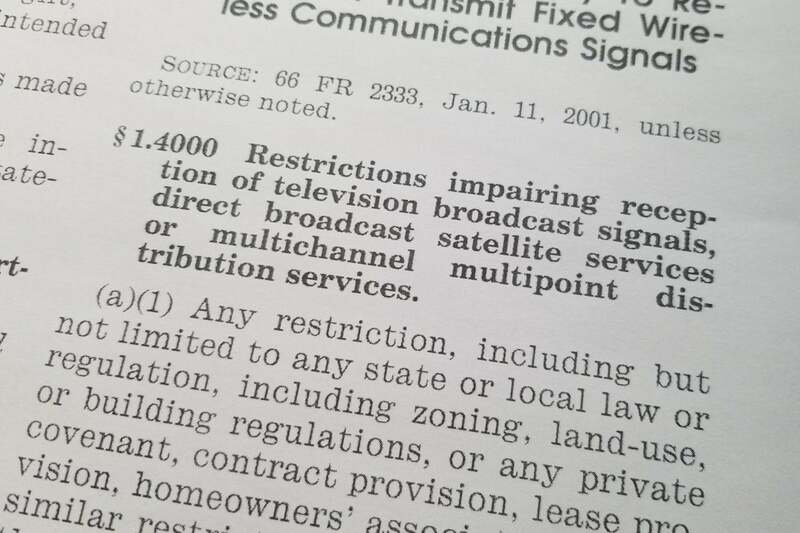 TV broadcasting in North America is spread across three frequency bands: VHF-Low (channels 2 through 6), VHF-High (channels 7 through 13), and UHF (channels 14 through 51). Because of the different frequencies in use, antennas are designed to cover one, two, or three bands. Not every antenna covers them all. The real channel number helps you figure this out. After TV stations went digital, some shifted channels but kept announcing the channel number everyone knew. For example, channel 5 in San Francisco is actually broadcasting on channel 29. That’s why the real channel is important in antenna selection. Most antennas, especially those for indoor and attic use, are designed for VHF-High and UHF reception. Some outdoor antennas for roof mounting only cover a single band. TechHive’s antenna reviews note this. Antennas for VHF-Low stations are harder to come by, but those frequencies are generally used by smaller stations that may transmit at lower power. Be prepared to put up with a lot of marketing speak when checking out antennas. 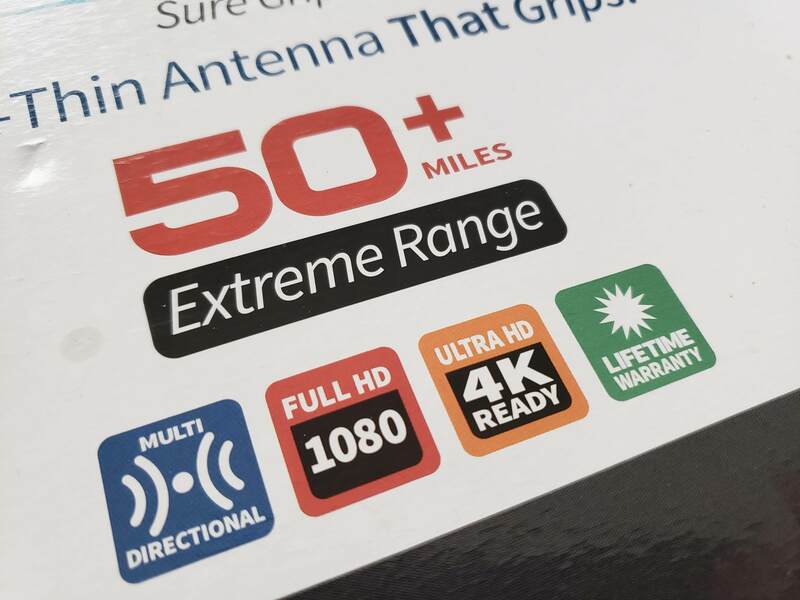 For the record, there is no such thing as an “HD” antenna or “digital” antenna—the format of the signals being received doesn’t matter—and take those “miles” range claims in the product specifications with a grain of salt. 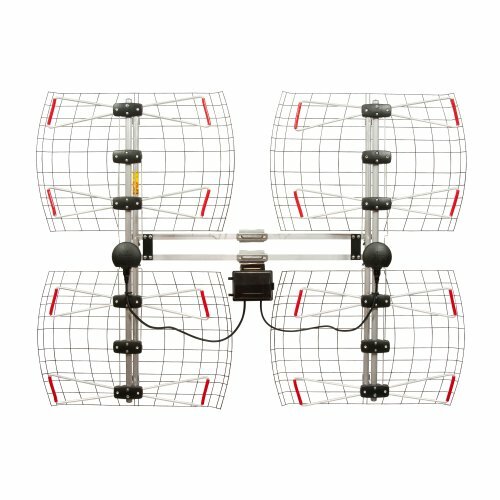 No manufacturer can guarantee their antenna will pull in a signal from a given number of miles because too much depends on local topology, signal strength, interference, and other factors unique to your location. Having said that, those range claims are useful in evaluating antennas from the same manufacturer. It’s a good bet that an antenna that claims 65 miles of range is generally better for long-distance reception than one from the same company that claims to deliver 30 miles of range. Some of these claims mean nothing. In the example above, an indoor antenna will probably pull in all the green channels coming from the transmitter at 240 degrees, and the same antenna will also likely work for the third channel in the list, which comes from a different transmitter at 199 degrees, but has a strong signal. The last station on the list will require a bit more work. 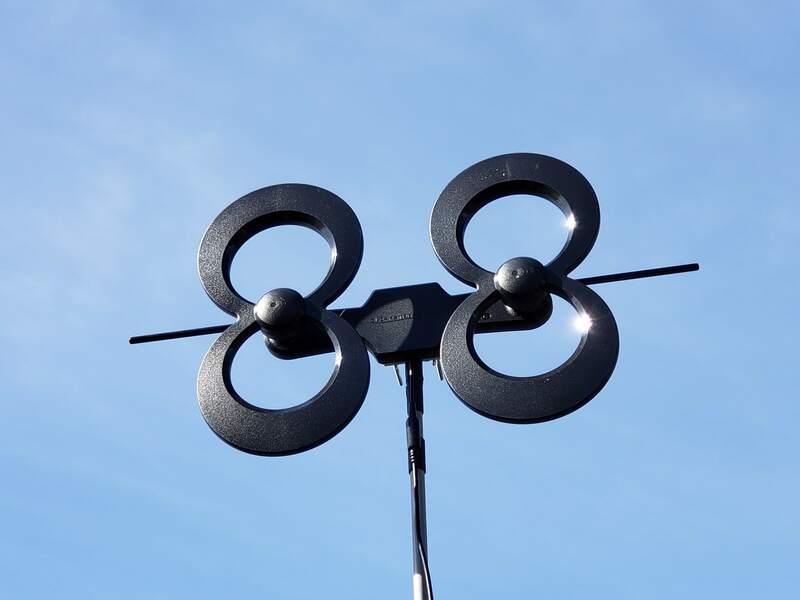 A larger antenna is probably required, and because it’s more than 100 degrees from the others, you might need a second antenna or a rotator. But, before you spend too much money, try an antenna and see if you can pull in all six. If not, you’ll need to decide if you want to buy extra equipment for just that station. If you’re unable to receive distant TV stations due to low signal levels, you should consider a signal amplifier. It’s always best to collect as much signal as possible at the antenna, so don’t skimp on a small one and try to make up for it with an amplifier. But if a large antenna still won’t pull in the station without picture break-up, a signal amplifier might help. You also might need one if you have an excessively long run of cable, say from a distant spot on a piece of land to a house. 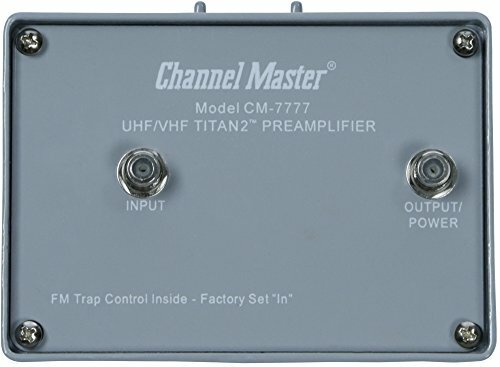 TechHive recommends one of the models from Channel Master, such as the CM-7777 Titan 2. It mounts onto the antenna mast and is fed with power through the coaxial cable. A rotator will turn the TV antenna in any direction with the click of a remote. These are useful if you want to receive weaker stations from several different locations although it’s worth testing out if a fixed antenna will get all your stations before investing in a rotator. Many antennas do a good job pulling in stations from different directions, especially if they are strong, local signals. 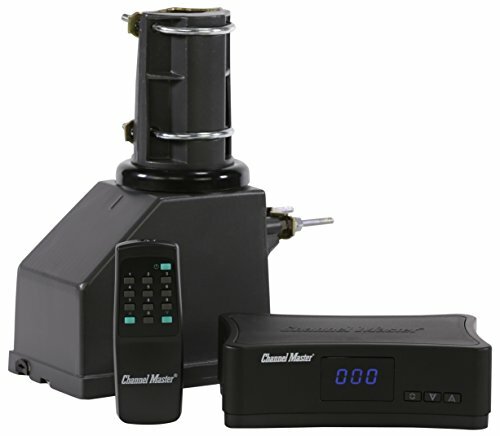 If you do need a rotator, the Channel Master CM-9521HDis an excellent choice. A TV antenna with rotator installed. The connection from your antenna to your TV is every bit as important as the antenna itself. You need a high-quality coaxial cable (“coax” for short) for the job. Coax has a center wire that carries the signal and is surrounded by a plastic insulator. Then there’s an outer braid that shields the center cable from interference, and an outer sheath to protect the cable from the elements. 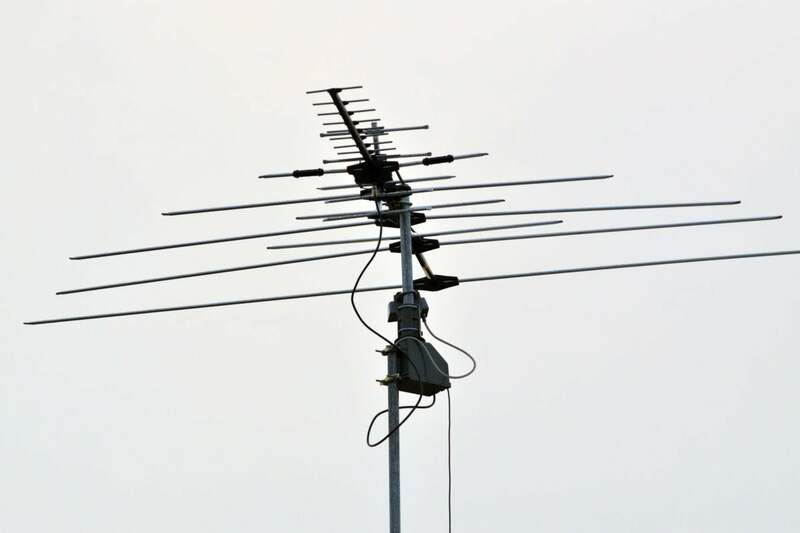 If you are ditching satellite for over-the-air TV, you can probably use the existing coaxial cable from the satellite dish, but if it doesn’t work, be prepared to buy and run new coax. Make the cable a single run if possible because each time you connect shorter cables together, a little signal is lost. The most common type of cable for TV is called RG-6. 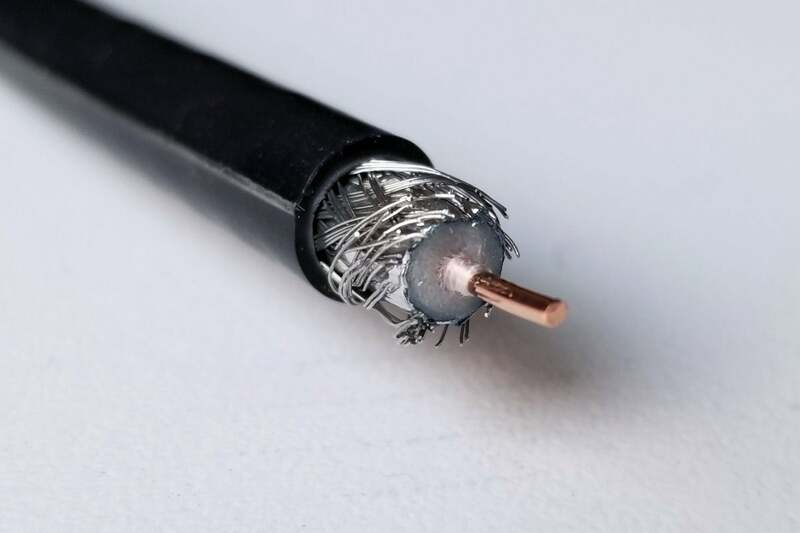 A piece of coaxial cable cut and ready for a connector to be attached. Predicting which antenna will work with certainty is almost impossible. The information garnered from sites like TV Fool will provide a strong indication of what should work, but there are other variables at work. In some areas, especially in cities or areas with lots of hills, signals can bounce off obstacles like buildings and cause interference, trees can grow leaves in the spring and block stations you got fine in the winter, and atmospheric conditions can alter the way signals reach your house. Moving an antenna just a little to one side or up and down a window can have a big effect on reception. If you’re putting up an external antenna, one side of your roof might bring in nothing while the other side provides perfect reception.